Something you don't usually see. 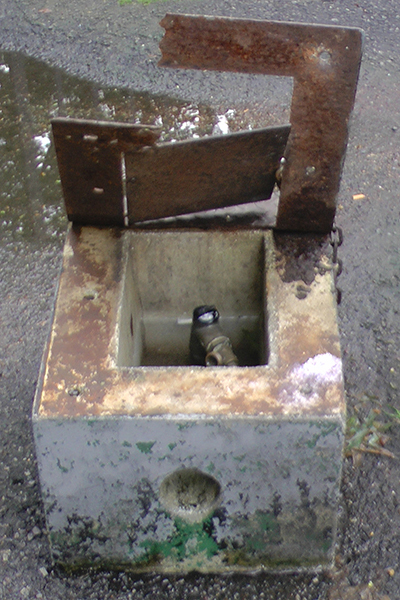 In case you're wondering what that something is, it's a water control box: open! This one is kind of messed up. 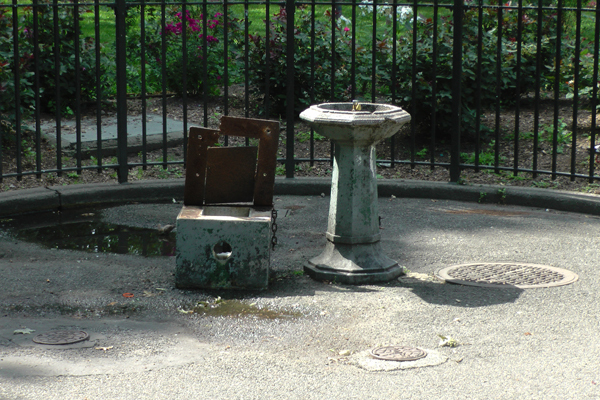 Also, this shows all three aspect of park water — intake, usage, and output — in a single picture. It's the water cycle in miniature… in the East Village Today!